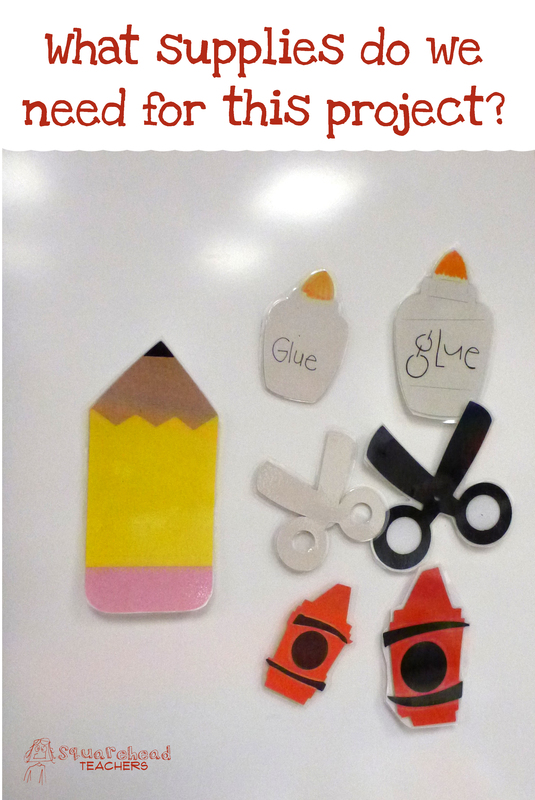 I recently was this in a kindergarten classroom and was blown away by this simple, but genius idea! 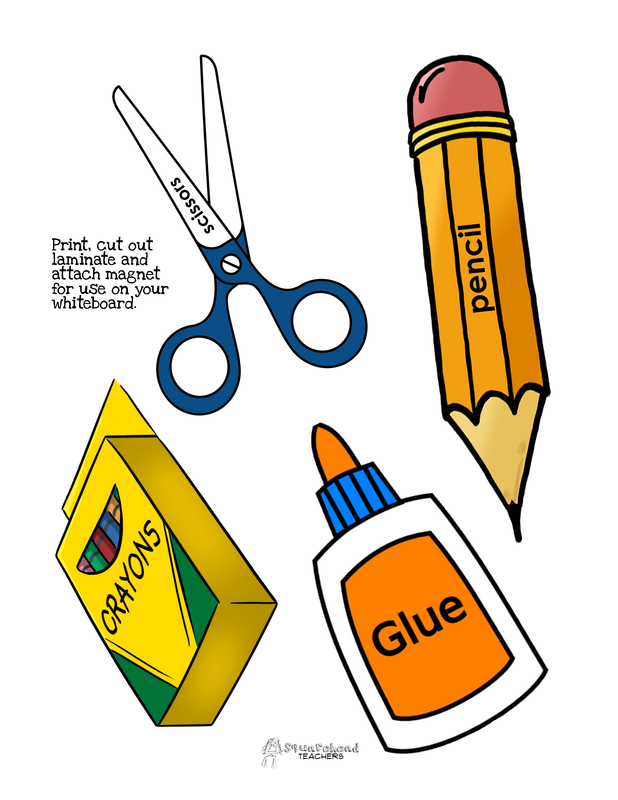 The teacher had clip art of commonly used classroom supplies attached to the board with a magnet. When it was time for a project, she’d move the magnets of the necessary supplies to the center of the board for her students to get out. This way, she visually reinforces what she says and doesn’t have to repeat herself! I made some for you, so just print out my Supplies for Today’s Project PRINTABLE, cut out and laminate each piece and add a magnet. Then you’ll be genius too! This entry was posted in Art/Crafts, Beginning of the Year, Classroom & Decor, Management and tagged classroom, Elementary School, Teacher Resources, Teaching by Squarehead Teachers. Bookmark the permalink.